Bla bla bla text here. Tom has led the engineering and manufacturing development of the PCBFC since 2013. He was involved in the development of the PCBFC whilst working as a Postdoctoral Research Associate at UCL. With initial proof of concept shown, Tom was appointed as the technical lead of an InnovateUK funded manufacturing project (101979). As a co-founder of Bramble Energy Tom joined the company as a director and Chief Technology Officer when the company spun-out of the universities in late 2016 before moving to the role of CEO in September 2017. With close to 10 years of electrochemistry experience, Tom is the foremost authority on all things PCBFC. Tom’s appointment to the role of CEO brings a fresh approach to leading the Bramble Energy team. Erik joined Bramble Energy as Head of Engineering in 2016. He is an experienced electrochemical engineer, with a strong background in fuel cell diagnostics. He has been involved in the development of the PCBFC since 2015, and has been at the forefront of its development ever since. Erik is currently the technical lead on all of Bramble Energy R&D programs and ensures we remain at the cutting edge of technological capability. Vidal joined Bramble Energy as the Head of Operations in early 2017. He is a fuel cell engineer with a background in hybridized system design and integration. Vidal oversees and enables all things PCBFC from component procurement through to system production. 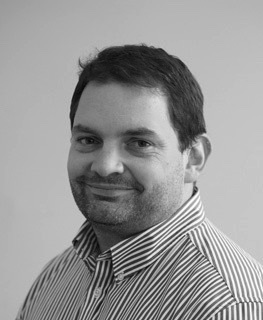 He brings his experience in project and supply chain management from the construction industry which provides a unique perspective to the day to day running of Bramble Energy. With Anthony Kucernak, Dan is a co-inventor of Bramble’s core technology. He is Professor of Electrochemical Engineering at UCL, a leading expert on electrochemical energy conversion and storage and one of the most published academics in the UK in the area of fuel cells. His research has attracted over £16million and Dan has been recognised by the award of the 2009 De Nora Prize from the International Society of Electrochemistry for his ‘outstanding contribution to fuel cell and battery research’, and the 2011 Baker Medal from the Institute of Civil Engineers. Dan is co-founder of the UCL Electrochemical Innovation Lab that provides a sandpit environment where basic science meets industrial development, leading to the exploitation of new technologies and creation of spin-out companies. With Dan Brett, Anthony is co-inventor of Bramble’s core technology. Anthony combines his responsibilities at Bramble with his role as Deputy Director of the Energy Futures Laboratory and Professor of Chemical Physics at Imperial College. He has over 25 years in the development of electrochemical energy devices including batteries, fuel cells, photoelectrochemical devices, redox flow batteries, and new methods for studying such systems. He has published over one hundred and twenty refereed articles, and is inventor/co-inventor on ten patents.